Please take a look at our FINISHES page to view the full range we offer. We can also send samples of finishes, if you require them. Please see our PRICES list pages, or contact us for an individual quote. We will then be happy to provide you with a Pro-Forma Invoice, with price and product specification based on your choice of mirror. Orders will be accepted and confirmed on receipt of the signed Pro-Forma Invoice, along with 50% of the total amount payable, with the balance due 2 weeks before delivery. Lead-time is normally 6 – 8 weeks, though some orders will be available earlier. Please note, multiple orders may take longer. All prices include VAT. Reid & Wright mirrors can be viewed by appointment at our London workshop. Please contact us for details. A specialist courier service is available to any UK address at an additional cost. We will automatically include a quote for this delivery cost to your area on your Pro-Forma Invoice. 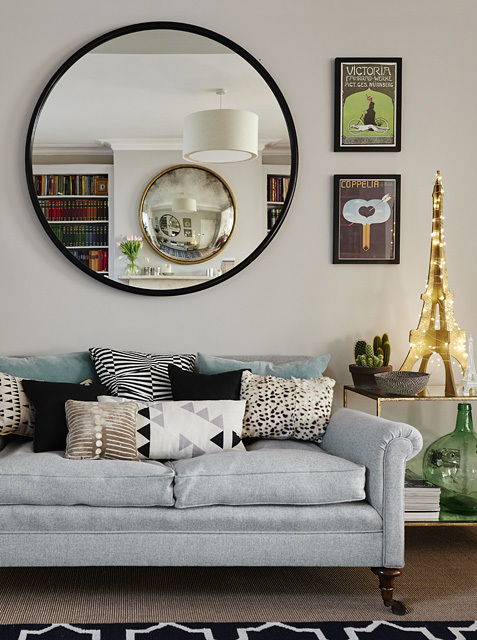 Of course, you are most welcome to collect your mirror yourself, or arrange collection, from our London workshop in NW10. All Reid & Wright mirrors are fitted with mirror plates to allow them to sit flush to the wall. Due to the high-quality of the materials and glass our larger frames are heavy and we recommend professional installation. Please contact us for details about specialist hanging services. All our mirrors are bespoke pieces, handmade to each client’s individual specifications and therefore cannot be cancelled or returned once the signed Pro-forma Invoice and deposit has been received. Please see our T&C for details.